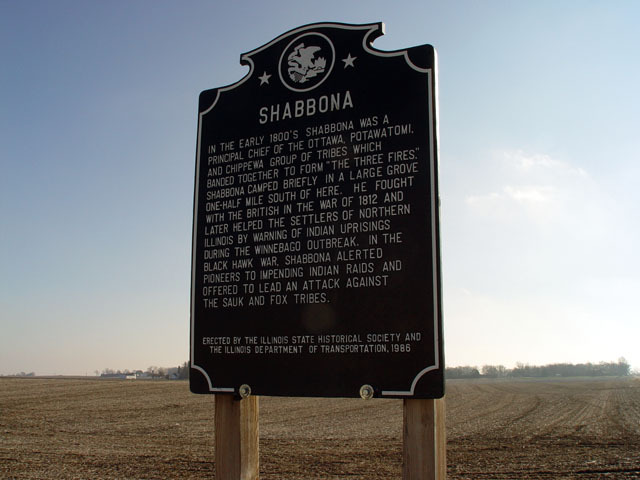 Located south east corner of Hwy 30 and indian road east side of city of Shabbona Coordinates Lat N 41 46.067 " Lon W 88 51.727 "
In the early 1800's Shabbona was a principal chief of the Ottawa, Potawatomi, and Chippewa group of tribes which banded together to form 'The Three Fires.' 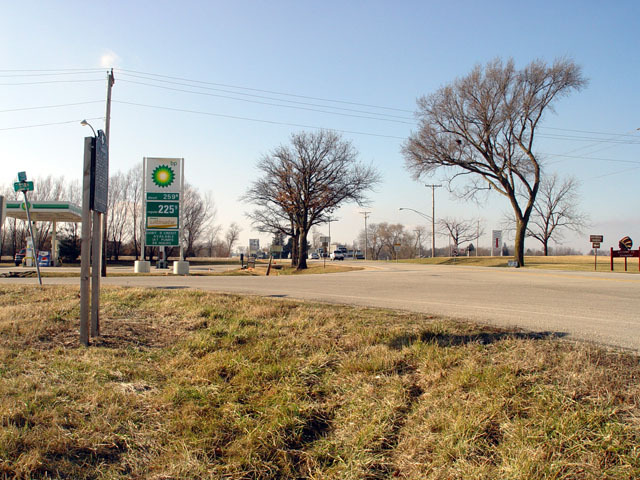 Shabbona camped briefly in a large grove one-half mile south of here. He fought with the British in the War of 1812 and later helped the settlers of northern Illinois by warning of Indian uprisings during the Winnebago outbreak. 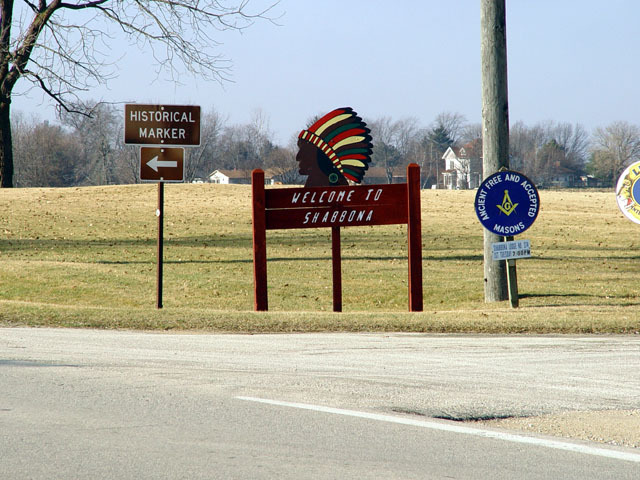 In the Black Hawk War, Shabbona alerted pioneers to impending Indian raids and offered to lead an attack against the Sauk and Fox Tribes.